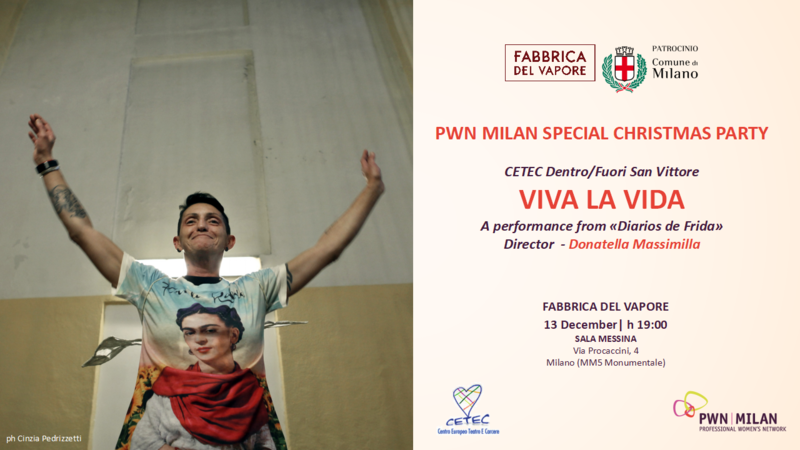 Cetec is a project operating in the women's section of San Vittore, which involves convict women in training courses, encouraging their re-inclusion through the theater: the curative power of art and culture enables them to see reality with new eyes. Viva la Vida is a Mexican journey brought by the theater company Cetec Dentro / Fuori San Vittore, which aims to be a hymn to life and cultural re-existence. Come celebrate another successful year with PWN Milan and live a unique experience! This special aperitivo is an all-inclusive event so be sure to bring the important men in your life – partners, colleagues and friends – to this unique professional gathering.